Our Sophisticated "Tapestry" Collection Residence 3 home presented by Fieldstone homes is situated on a Private Lot Location with Hillside & Treetop views from behind! This Remarkable Hillside Retreat is just steps from Cascade Park and Knollcrest Park and offers 4BD 3.5BA plus a Second Level Tech Space with Custom Built-Ins, Private Master Bedroom Deck, Attached 2-CAR Garage, Private Driveway and approximately 3,075 Sq. Ft. of decadent interior indulgence! 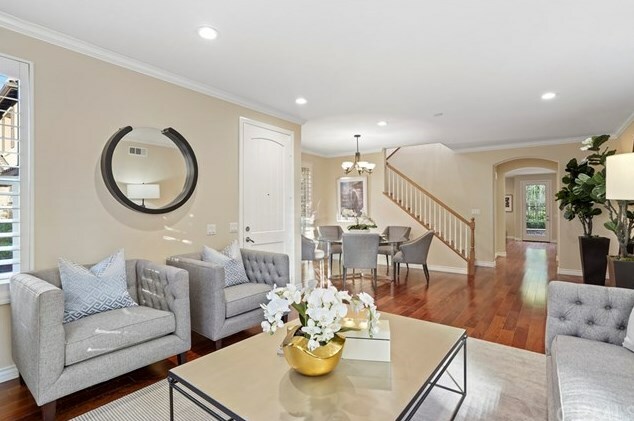 The home features the Finest Interior Elements including Upgraded Wood Flooring, Fresh Interior Paint, Custom-Fitted Window Plantation Shutters, Crown Molding, and Recessed Lighting! Chef-Inspired Gourmet Kitchen with Granite Countertops, FULL Backsplash, Maple Cabinetry, Walk-In Pantry, Reverse Osmosis, Breakfast Nook and ALL Stainless Steel Appliances! A Lifestyle Opportunity for Indoor & Outdoor Entertaining-Kitchen open to Oversized Great Room & Private Backyard with French Door Access from Great Room! Enjoy World-Class Amenities-exclusive to Quail Hill residents. 5 parks, 3 pools, Barbecue and Picnic Areas, Fitness Center, and Hiking Trails all inspired by the warm ambiance of their surrounding environment. 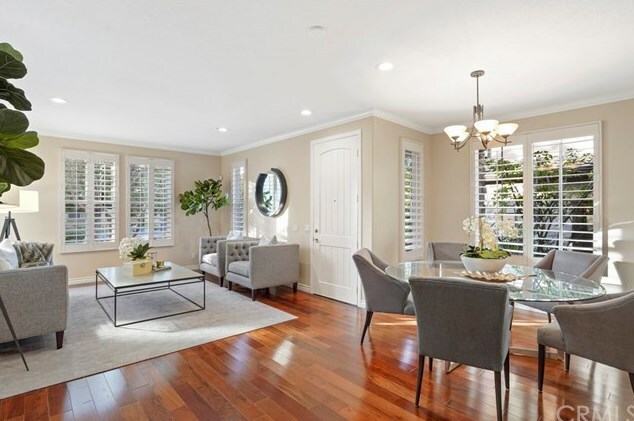 Award-winning Irvine Unified School District (zoned University High) and minutes from Dining Destinations at Quail Hill Shopping Center, Los Olivos Shopping Center, Irvine Spectrum Center, Kaiser Permanente, Hoag Medical Centers, John Wayne Airport, and Laguna Beach! 148 Weathervane, Irvine, CA 92603 (MLS# OC19086229) is a Single Family property with 4 bedrooms, 3 full bathrooms and 1 partial bathroom. 148 Weathervane is currently listed for $1,598,888 and was received on April 16, 2019. Want to learn more about 148 Weathervane? Do you have questions about finding other Single Family real estate for sale in Quail Hill? You can browse all Quail Hill real estate or contact a Coldwell Banker agent to request more information.